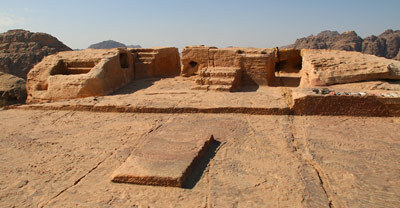 From the High Place of Sacrifice, after you’ve passed the Crusader ruins, there is a trail and some stairs winding down. 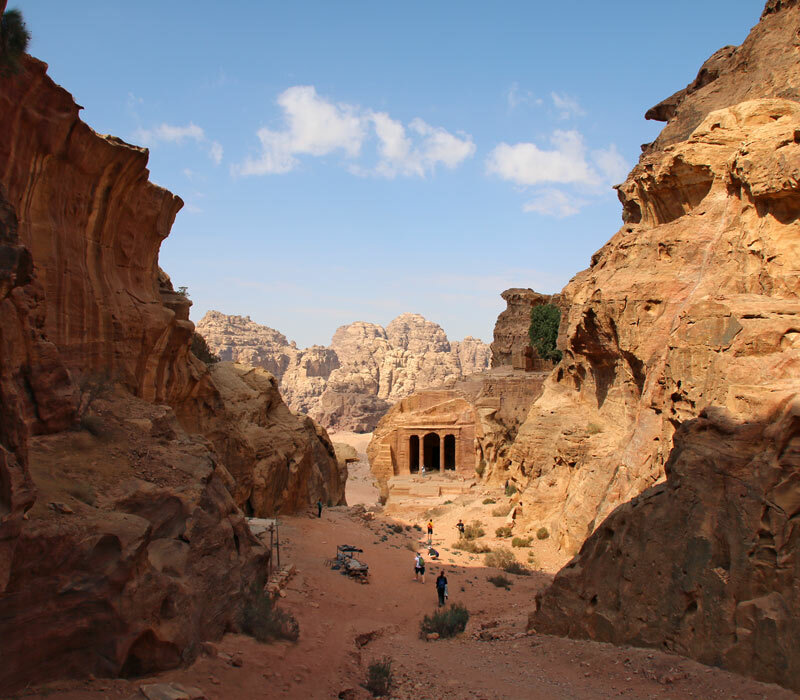 They are steep and narrow but safe and really worth going down to Wadi Farasa, one of the most idyllic areas of Petra, a canyon full of surprises and Nabataean masterpieces. 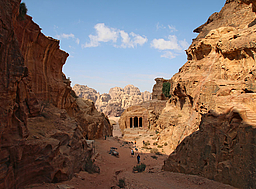 On the way, a lion carved into the rock once poured water through its mouth into a basin below. 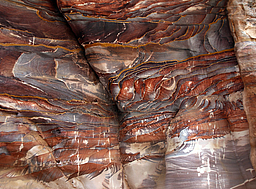 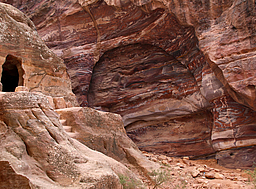 From there, the steep staircase takes you down to the Wadi floor, first to a block tomb surrounded by beautifully patterned multicolored rocks. 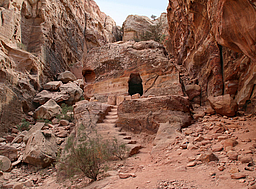 Further down through the picturesque canyon you reach the Garden Tomb with its columned portal in a scenic setting, and the fascinating Roman Soldier complex. 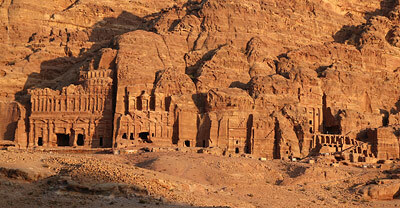 The Wadi Farasa East with the main complex of the Roman Soldier Tomb created probably during the 1st century AD is the "result of a very well organised city planning by the Nabataean authorities. 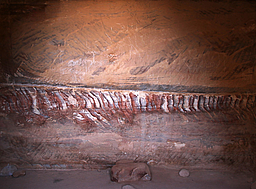 In this area installations for religious purposes – like cult shrines – and for habitation purposes – like rock carved living caves – existed together with funeral monuments embedded in a flourishing nature creating a kind of utopia or paradeisos – forms of a better life intensively discussed in ancient literature."